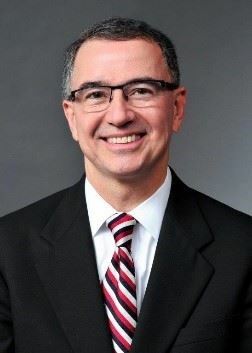 Randy Curato currently serves as Vice President—Senior Loss Prevention Counsel at ALAS, Inc., a risk retention group insuring lawyers across the United States and abroad. In that role, he counsels and educates lawyers on ethics, professional responsibility, and avoiding malpractice. Prior to joining ALAS in 2005, Randy was a partner at Bell, Boyd, & Lloyd LLC in Chicago. While at Bell Boyd for 18 years. Randy handled litigation, arbitration and trial of commercial, real estate, environmental, probate, product liability, professional malpractice, and contract cases. Randy started his practice in 1984 with Wildman Harrold Allen & Dixon where he handled litigation matters for three years. Randy earned his law degree with honors from the University of Notre Dame Law School in 1984 and served as Executive Editor of the Notre Dame Law Review. He attended Manhattanville College in Purchase, New York and graduated with honors in 1981.